Autumn Gok for Tu collection in stores now! 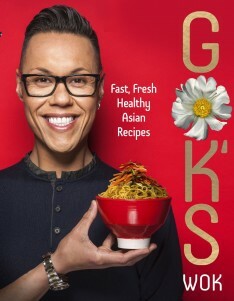 Check out my latest Gok for Tu collection for Sainsbury’s. It’s Makeover Time! Get involved! Hey guys, I can’t even start to count how many of you have asked me for a makeover in the past… well… it just so happens that I have a brand new summer show – Gok Live – coming up and I’m looking for ladies just like you to come and have the makeover of your LIVES!!! All you need to do is follow the link to Channel 4 and send in your application form* to the lovely guys who are making the show with me! It really is as simple as that. Trust me, this is going to be the most exciting makeover show EVER, so I hope as many of you as possible will come and get involved! *You have to be over 18, a full time UK resident and available in July. I have been touched by the Hand of Gok. Quite literally. And if just a smidgen of Britain’s favourite style guru’s success rubs off on me, I’ll be quids-in. 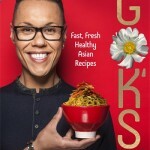 Gok on Would I Lie to You? Don’t miss Sunday’s Secret Millions! Watch Secret Millions on Channel 4OD . You’ll see me working with Kids Company, which is an amazing charity that offers young people from disadvantaged backgrounds emotional, educational and practical support. Alongside Kids Company key workers, Gok has a week to teach the trainees self-discipline and skills for the workplace while creating a range of T-shirts as a pilot social enterprise. Trainees like these struggle to get work as their behaviour could see them being kicked off normal training. Getting them to even show up on the first day is tough and Gok isn’t prepared for some explosive clashes that follow, as their project hangs in the balance. With the Big Lottery Fund secretly monitoring their progress, Gok is praying the team can pull together and help prove, unknowingly, that their enterprise is worth £2m of Lottery funding. Find out more about Secret Millions and Kids Company.